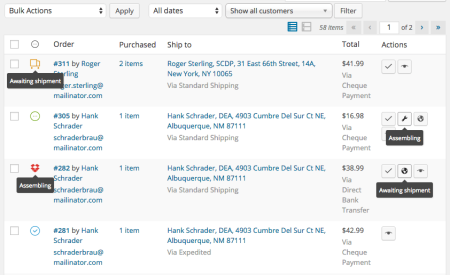 Add or Edit WooCommerce Order Statuses and emails! The WooCommerce Order Status Manager gives you the control you need over your WooCommerce order statuses and associated emails. 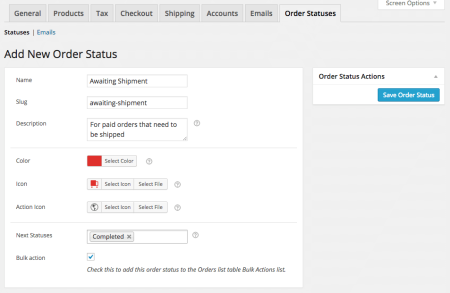 You can add new orders statuses, along with associated icons and action buttons, to provide the granular control over your orders that you need. 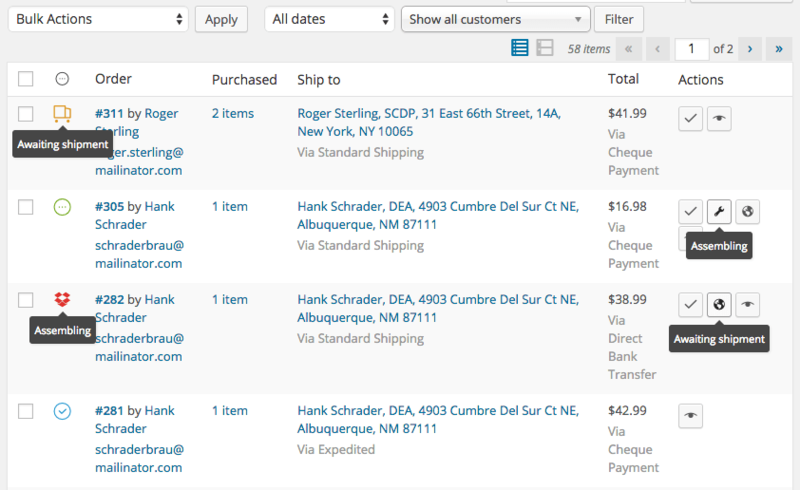 You can also edit parts of core order statuses to create an order flow that works for you. Need to trigger emails based on your new statuses? No sweat! You can add emails that will trigger when moving from one status to another, and these emails will have new templates created that you can edit. What Can WooCommerce Order Status Manager do? Your new statuses will fit in seamlessly with the rest of your order management, and the addition of new email templates triggered by status changes will help to automate your shop’s customer communication.